The CORO1A antibody recognizes coronin-1A, also known as clipin-A, coronin-1, coronin-like protein A, coronin-like protein p57 or tryptophan aspartate-containing coat protein. 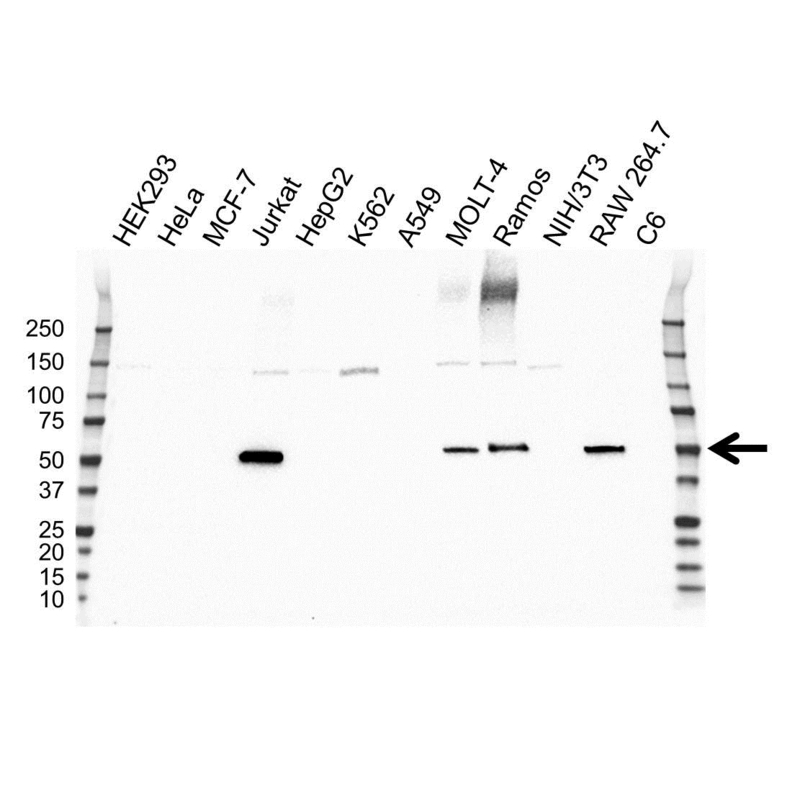 This antibody has been extensively validated for western blotting using whole cell lysates. Mouse anti Human CORO1A antibody recognizes coronin-1A, also known as clipin-A, coronin-1, coronin-1A, coronin-like protein A, coronin-like protein p57 and tryptophan aspartate-containing coat protein. Encoded by the CORO1A gene, coronin-1A is a member of the WD repeat protein family. WD repeats are minimally conserved regions of approximately 40 amino acids typically bracketed by gly-his and trp-asp (GH-WD), which may facilitate formation of heterotrimeric or multiprotein complexes. Members of this family are involved in a variety of cellular processes, including cell cycle progression, signal transduction, apoptosis, and gene regulation. Alternative splicing results in multiple transcript variants. A related pseudogene has been defined on chromosome 16 (provided by RefSeq, Sep 2010). Mouse anti Human CORO1A antibody detects a band of 51 kDa. The antibody has been extensively validated for western blotting using whole cell lysates.